Hello Blogosphere Friends! We know, we know - we missed Mama Hop Monday. Please accept our most sincere apologies. We'll make it up to you. We have a good reason though - life has been crazy busy around here because of a major life change that will transpire in the upcoming months: we are moving! No, we're not changing the URL of the blog. Our family (Travis, Elizabeth, Josie, and Merryn) is relocating to another state. This announcement comes with mixed emotions. While we are very sad to be leaving all of our wonderful friends in our current residence, and while we're heartbroken over moving further away from Mama Hop and Aunt Leanne, we are very proud of Travis for receiving a promotion and a chance to embark upon new career opportunities. 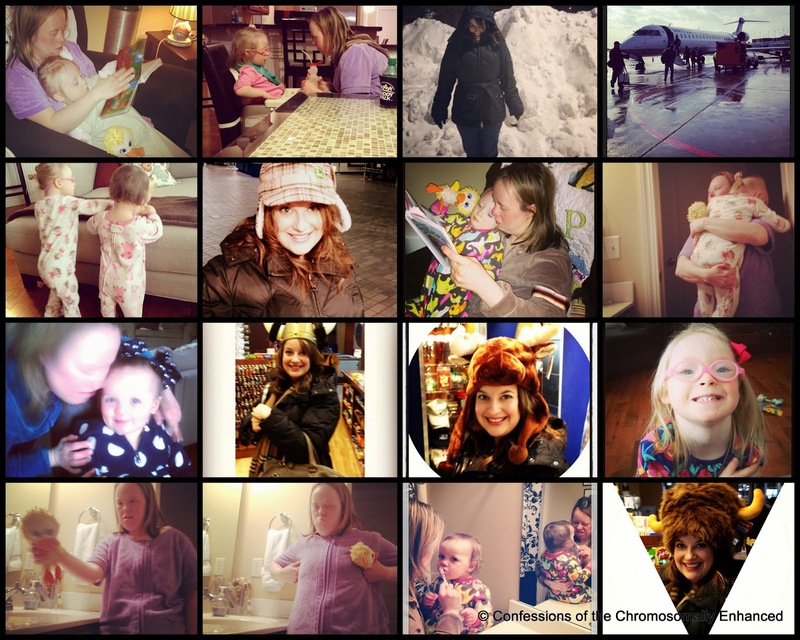 Those of you who have clicked on the "About Us" tab at the top of the blog, know that in the past 10 years, we have lived in 5 different states. Travis' career with a large global company has provided us with a nomadic and adventurous lifestyle. 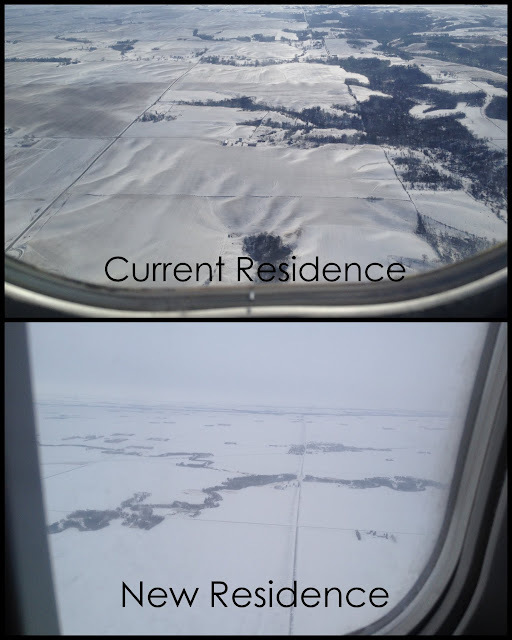 This past weekend, Travis and I flew to state number 6, to try and find a little dwelling for our migratory family. Mama Hop and Aunt Leanne were kind enough to keep the girls so that we could focus on our house hunt without being distracted by the constant demands of busy toddlers. We knew our little ladies were in very competent hands. 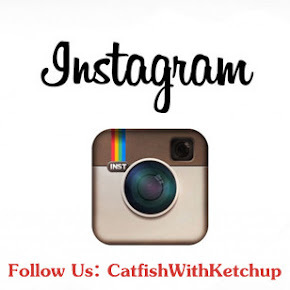 Our Instagram followers (Follow us: CatfishWithKetchup) saw up-to-the-second pictorial updates of the weekend including Aunt Leanne's chicken impersonation and my pursuit of the perfect cold weather hat! While I'm not keen on revealing our actual location to the Worldwide Web, I will say that our new residence is renowned for being cold. Like polar bears and igloos cold! Well, not really. But it's pretty darn cold and quite snowy. But upon flying back home, I realized our current residence is pretty darn cold and snowy as well so we'll just upgrade our snow boots and grease up our toboggan (we don't actually own a toboggan but we may need to consider getting one). Have no fear - we're not slated to depart for a couple of months. And Mama Hop and Aunt Leanne have vowed to call and write and Skype. Mama Hop is learning to use her new digital camera so she can send us photos of the original diva regularly. I'm trying to talk her into getting an iPhone so it's even faster and easier! And of course a long drive/short plane ride won't keep them away from their beloved Catfish With Ketchup and Banana Split. No Sirree! Be sure to tune in tomorrow to see video of Aunt Leanne describing her weekend of babysitting. In true Leanne fashion, no words are minced and no detail is sugarcoated. It's must-see-Aunt-Leanne-tv! When you mentioned this in a prior post, I knew it was going to be moving due to work. I'm psychic or something I tell you. Congrats to Travis! and aww I hope your sister and mom are able to visit enough to keep everyone happy!! Congrats to Travis. I was so hoping you were moving our way! Bummer! Please let it be Wisconsin! Boo - I was all set for NYC playdates until I saw the google map with all that snow. Best of luck with your move, and congrats to Travis! My sister and I, devoted followers, were sure it was a pregnancy announcement. You fooled us both! Congratulations on the move and best wishes to you in your new home. It does look more remote so I'm guessing MN, or possibly one of the Dakotas??? You don't have to say...your privacy is important, especially as someone with a public image/forum. Good luck with the move! My location guess was Michigan. Congrats on the promotion but boo I will most likely never run into you shopping! You'll be too far away. Good luck with the move, I can't wait to see what happens.